And another week as passed in a blur. 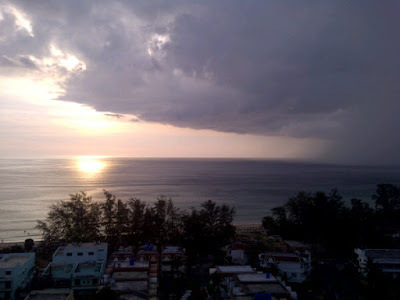 Phuket is hot and sunny almost all the time, except when it gets too hot and nature takes over with a thunderstorm. 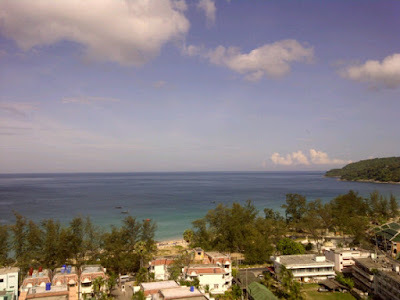 Light winds, fairly calm seas, yes, it's March in Phuket and the weather is good. I do apologise for a lack of updates, just there is very little to update. The last serious rainfall was on the 8th and 9th (evening thunderstorms) and since then just a few light showers such as we had this very evening. I have not been out and about with my camera, no time really - high season working 6 days per week. I wrote a blog article on Jamie's Phuket about my work - Diving Phuket with Sunrise Divers. If you want to dive, please do contact me - email info@sunrise-divers.com or call (mobile) 08 4626 4646 during office hours any day except Saturday which is my normal day off. I planned to take a drive yesterday after work to the well known After Beach Bar which sits on the hill overlooking Kata Noi beach. Actually there are several bars there. I wanted a nice sunset photo and a chance to blog this bar which has been a Phuket fixture since.. well, since before I came here in 1999. But the weather did not play ball, and this evening was the same, a light rain and lots of cloud this afternoon. Maybe tomorrow the sun can shine all day and give me a sunset view! The After Beach Bar is between Kata and the well known viewpoint (below) that looks over Kata Noi, Kata and Karon Beaches. 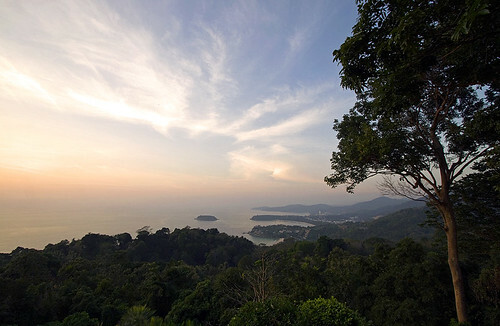 (above) the Phuket Viewpoint, photo taken in February 2011. I want a nice clear evening like that sometime in the next few days. The days are hot, great for everyone, except I finish work at 6pm. Give me a sunset! See you in Phuket! Oh and you can follow me on Twitter too!